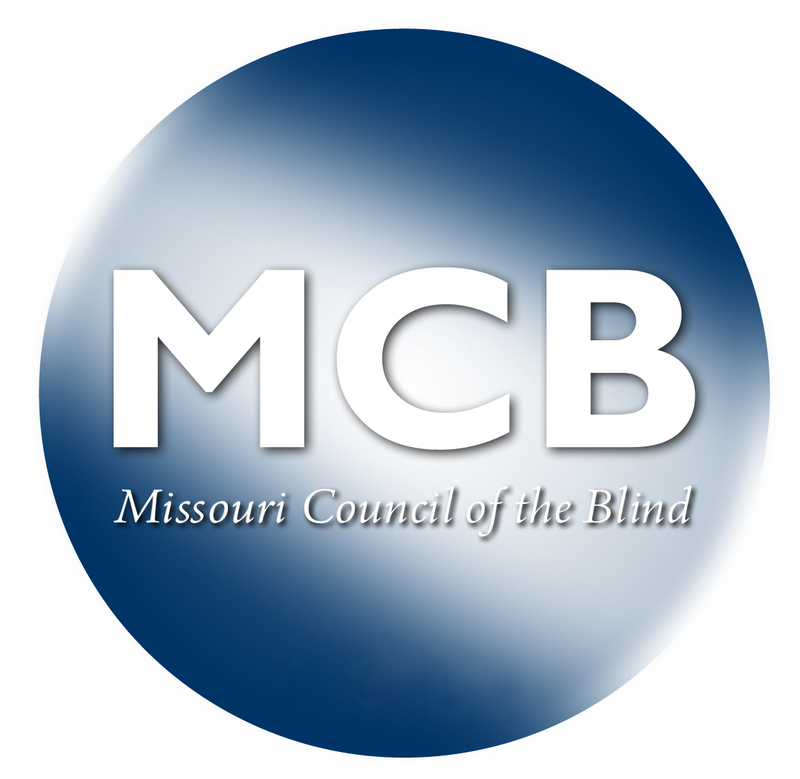 The Bylaws of the Missouri Council of the Blind are available for download from the following link. The name of this organization shall be the Missouri Council of the Blind, hereinafter referred to as MCB. It is a 501(c)(3) not for profit corporation. MCB is also a state affiliate of the American Council of the Blind. The purpose of MCB shall be to promote the general well-being of our members and legally blind people in Missouri, and to support or participate in other programs promoting the best interests of legally blind people everywhere. Members shall be eighteen years of age or over, shall be residents of Missouri and shall belong to a regular affiliate, a special interest affiliate or be a member at large as set forth in Section 2 Member at Large. All members shall have the right to vote, speak on the floor at conventions, serve on committees, and if qualified, hold office. Any resident of Missouri, eighteen years of age or over, who is not a member of a regular or special interest affiliate may apply for membership at large. An application, accompanied by dues, shall be sent to the executive director. The membership committee shall vote on all applications. If an application is not approved, it may be submitted first to the board of directors and then if it is still denied, it may be submitted to the general assembly at the next annual convention. An application submitted to the convention shall be signed by at least five members in good standing. A two-thirds vote of the members present and voting shall be necessary to approve the application. Any resident of Missouri, who is ten through seventeen years of age, may apply for junior membership in a regular or special interest affiliate. Junior members may speak at meetings and serve on committees. Any member of MCB, who is not a junior member, may receive one grant to the ACB convention when such grants are authorized by the board of directors. To be eligible for a grant, the member must have joined a regular or special interest affiliate or become a member at large by February 1 of the calendar year in which the grant is offered. The grant shall be payable to members after they attend the ACB convention. Members shall attend all daytime general sessions. The MCB president, or president's designee, shall be informed as soon as possible if someone is at the convention but unable to attend a session. MCB shall have regular affiliates and special interest affiliates. A regular affiliate shall be an organization having an interest in all matters pertaining to MCB and will generally consist of members from a particular area of the state. A special interest affiliate shall be an organization whose members have an interest in a particular subject area and will generally draw its members from throughout the state. A member of MCB is limited to membership in one regular affiliate, but members of regular affiliates may belong to any number of special interest affiliates. A. A regular affiliate shall have at least ten members, a majority of whom are legally blind, including the president and vice president. B. An organization of the blind desiring to become a regular affiliate shall have at least ten members who are new to MCB (not counting members at large). A. A special interest affiliate shall have at least fifteen members, a majority of whom are legally blind, including the president and vice president. B. If a new special interest organization of the blind seeks affiliation, it shall not be chartered if there is an existing special interest affiliate with the same purpose. In order to become a new affiliate, the organization shall apply for membership at least thirty days prior to the next annual convention by submitting a copy of its constitution and/or bylaws, the names, addresses, and phone numbers of its members and elected officers, and one year's dues to the office. The application shall then be voted on at the convention, with a majority needed for approval. If the application for membership is approved, the MCB president shall issue a charter of membership to the new affiliate. A. By February 1 of each year, each affiliate shall provide the office with a list of the names, addresses, phone numbers, visual status, and preferred reading format of its current members and elected officers for updating the ACB membership list. By September 1 of each year, each affiliate shall provide the office with the names, addresses, phone numbers, visual status, and preferred reading format of its members and elected officers for updating the MCB membership list for voting at the MCB convention. B. Affiliates shall send any amendments or revisions to their constitution or bylaws to the office within ninety days after they have been adopted. An affiliate may be disciplined when it is not compliant with MCB bylaws and policies. Each Affiliate shall pay annual dues as determined by the members in convention assembled. Dues, with a current list of names, addresses, phone numbers, visual statuses, and preferred reading formats of members shall be sent to the office by September 1. Members of affiliates whose dues are not paid by September 1 shall not be entitled to vote at the annual convention. Members at large shall pay annual dues as determined by the members in convention assembled, which shall be sent to the office by September 1. Members at large whose dues are not paid by September 1 will not be entitled to vote at a convention. The fiscal year shall be from November 1 through October 31. The funds of MCB shall be deposited in a bank or banks decided upon by the president and the treasurer, with the approval of the board of directors. They shall also designate the purpose of each account. The treasurer and all other persons handling money shall be bonded within thirty days of being elected or appointed. The treasurer shall be responsible for the payment of all invoices by check, written on the general funds account, when authorized by the president or executive director. Members of the board of directors, employees, and committee members shall be entitled to reasonable expenses, as determined by the board of directors, for attending regular or special meetings or for any assignment directed by the president or the board of directors. A written expense form, with receipts if possible, shall accompany all claims for reimbursement. Expense forms shall be sent to the executive director for approval and sent to the treasurer for payment. The form shall be sent to the president if the executive director is not available. If an expense form is not properly completed, it shall be returned to the member. However, the executive director shall not disapprove any properly prepared expense form where the expenditure has been authorized by the president or the board of directors. Any disbursement of the investment funds except by the designated stockbroker and its agents, or any bank holding the investments, shall require in writing, a request signed by two of three authorized signatures. The authorized officers are president, vice president, and the treasurer. Sample signatures from each named officer will be presented to the stockbroker upon election or appointment for comparison when any transaction is made. The officers of MCB shall be a president, vice president, recording secretary, and treasurer. All officers shall be legally blind except the treasurer who may be sighted. The executive committee shall consist of the officers. Members of the board of directors shall assume their duties on November 1, following their election. Outgoing officers shall surrender all equipment, documents, and files to their successors no later than December 1. Officers shall perform the duties prescribed for the office in these bylaws, in the adopted parliamentary authority, and as directed by the board of directors. The president shall attend the national convention of the American Council of the Blind. In the event of the resignation, removal, incapacity, or death of the president, the vice president shall complete the unexpired term. All other vacancies on the board of directors, except that of affiliate representatives, shall be filled by the president, with the approval of the board of directors, until the next convention. To qualify as a candidate for an elected office, any person must be a member of MCB for at least the last two years and have attended at least one convention. Each officer, director, and the public relations chair shall be elected to serve a two-year term and shall not be elected to the same office for more than two consecutive terms (not including unexpired terms). The president, vice president, and recording secretary shall be elected in the even-numbered years. The treasurer, the three directors, and the public relations chair shall be elected in the odd-numbered years. Voting for officers shall be by secret ballot unless a candidate is unopposed. When more than two candidates are nominated for an office and a majority is not achieved on the first ballot, only the two candidates with the highest valid votes shall be considered on the second ballot. A majority valid vote is required for election. MCB shall hold an annual convention in October at a place and date determined by the majority vote of the members. At each annual convention, affiliates may present proposals offering to host future conventions. The members shall decide by a majority vote where the convention will be held. If no affiliate offers to host the convention, the convention committee shall select a site for the next convention. In this event, the local affiliate in the city selected shall have no responsibility for conducting or arranging the convention. Special meetings may be called at any time by the president, or shall be called upon the written request of a majority of the board of directors or a majority of the affiliates. Copies of the motions or resolutions adopted by the affiliates requesting a special meeting shall accompany the request for a special meeting. Members shall be notified of the special meeting at least ten days (not including Sundays or Holidays) prior to the date of the meeting. At least seventy-five members, including representatives from a majority of the affiliates, shall be present to constitute a quorum for conducting business at a convention or special meeting. All officers, directors, the public relations chair, and affiliate representatives shall constitute the board of directors. A husband and wife may not serve on the board of directors simultaneously. Three legally blind members shall be elected by the convention to serve as directors on the board of directors. A public relations chair shall be elected by the convention to serve on the board of directors. He/she shall have the responsibility of developing projects to promote the purpose of MCB. The public relations chair shall be legally blind. A. Each regular affiliate shall have representation on the board of directors. When an affiliate is not already represented by one of the elected officers, the public relations chair, or one of the three elected directors, the affiliate shall elect one of its legally blind members to serve as its representative for a two-year term. This representative shall be elected for no more than two consecutive terms (not including unexpired terms). This election shall take place at the first affiliate meeting following the MCB convention. Any person, serving as the representative of one affiliate, shall not be eligible to serve as the representative of another affiliate for at least two years. If the MCB president is the only representative of an affiliate, a representative shall be elected by that affiliate so that the affiliate will have a vote on the board of directors. B. When an elected officer, or the public relations chair, or any of the three elected directors, who represents an affiliate, cannot attend a board of directors meeting, the MCB president shall be notified and appoint a temporary substitute upon the recommendation of the affiliate's president. This substitute, who shall be legally blind, is entitled to all rights and privileges of a board member for that meeting. C. If the representative elected by an affiliate cannot attend a board of directors meeting, the affiliate president shall appoint a legally blind member of the affiliate as an alternate for that meeting. The MCB president and the office shall be notified of the temporary replacement. A. The board of directors shall have the power to transact all of the business of the organization between conventions. In order to promote harmony, inasmuch as possible, the board shall attempt to seek out and consider the wishes of the membership before reaching decisions. The board of directors shall also be fiscally responsible for all expenditures of funds. Affiliate representatives shall be expected to make reports of board of directors meetings to their affiliates so that members will be kept informed of actions taken by the board of directors. If there is no affiliate representative in attendance at a board meeting, the office shall send the minutes to that affiliate's president. B. The board of directors shall have the authority to revise guidelines to programs administered by committees. Such guidelines may also be amended by a majority of the members present and voting at conventions. The board of directors shall meet at least twice each year in addition to meetings held during the convention. It may also meet at any time upon the call of the president, or upon a written request of the majority of the board members. The board of directors may meet via telephone conference call, but polling of board members, whether by mail or by phone, shall not be used for transacting business. A majority of the whole board of directors shall constitute a quorum for the transaction of business at board of directors meetings. Any officer or director whose actions are detrimental to the extent that they may cause great harm to MCB may be recalled from office by a three-fourths vote of the board of directors. Committee chairs shall be appointed by the president with the approval of the board of directors, unless otherwise stated in the bylaws. The president shall appoint other standing or special committees, with the approval of the board of directors, which are deemed necessary to carry out the work of MCB. The president shall be an ex officio member of all committees. There shall be an adaptive technology grants committee. This committee shall review applications from persons applying for grants under the adaptive technology grants program. There shall be a building committee consisting of the president, the executive director, and three other members appointed by the president. The purpose of the committee shall be maintenance and upkeep of the MCB building. There shall be a budget and finance committee consisting of the treasurer, who shall serve as chair, the executive director, and two other members appointed by the president. The members of the budget and finance committee may be sighted or blind. This committee shall prepare an annual budget to be presented to the board of directors for its approval. The budget shall then be presented to the convention. Recommended changes to the budget made at the convention shall be sent back to the board of directors for consideration and final action. The committee shall also arrange for an annual audit by a Certified Public Accountant and shall furnish the convention with a financial report covering the fiscal year. Annually, the committee shall recommend to the board a strategic financial plan for the investment of MCB's assets. 2. a member from each regular affiliate who may be either sighted or blind. 4. a special interest affiliate. C. The bylaws/resolutions committee chair shall send properly prepared amendments and resolutions to the office by August 1 to be sent to each affiliate, member at large, and any others upon request, in the format of his or her choice by August 20. D. The bylaws/resolutions committee shall hold an open meeting immediately prior to the opening of the convention for the discussion of amendments and resolutions. E. Amendments and resolutions shall be presented to the convention for discussion and voting with a recommendation from the bylaws/resolutions committee. There shall be a convention committee consisting of at least the committee chair (appointed by the president), the president, the executive director, the public relations chair, and a representative from each host affiliate for the upcoming convention. This committee shall work with the host affiliate(s) to arrange for conducting the convention according to the convention guidelines. There shall be an education and advocacy committee to keep the membership informed of pending legislation affecting legally blind persons. The committee shall be comprised of a legally blind delegate from each regular affiliate, elected by the affiliate, in the odd-numbered years and for a two-year term. The chair shall be appointed by the president with the approval of the board of directors. There shall be a membership committee consisting of a chair and two other members to be appointed by the president. This committee shall strive to increase the membership of the organization. There shall be an office personnel committee consisting of a committee chair and two additional members appointed by the president with the approval of the board of directors. Committee members shall be legally blind. Functions of the office personnel committee include drafting and/or revising personnel policies for board approval, making recommendations to the board for job descriptions, salary structure, benefits package, and annually reviewing staff salaries, acting as a grievance board for employee complaints, and developing and conducting the executive director’s yearly evaluation with the president as presiding officer. There shall be a scholarship committee, which shall administer the scholarship program. There shall be a special services committee, which shall administer the special services program. There shall be a summer camp committee, which shall review applications and determine eligibility for attending summer camp. The committee shall assign cabins and approve any other summer camp activities. There shall be a youth services committee, which shall sponsor programs and activities focusing on blind youth. A. There shall be an executive director who shall be hired by the president with the approval of two-thirds of the board of directors. A two-thirds vote of the board of directors shall also be necessary to dismiss the executive director. B. The executive director shall attend all meetings of the board of directors and all MCB state conventions as well as the national convention of the American Council of the Blind. The executive director shall give reports at board of directors meetings and state conventions. C. The executive director shall hire office staff, as authorized by the board of directors. Remuneration for all employees shall be determined by the board of directors. D. The executive director shall draw up a proposed annual budget covering expenses for the office, which shall be presented to the budget and finance committee and approved by the board of directors. The president with the approval of two-thirds of the board of directors may engage the services of professional personnel, such as but not limited to, attorneys or accountants. A two-thirds vote of the board of directors is required to dismiss professional personnel. MCB shall publish a magazine, which shall be distributed, free of charge to members and any other persons requesting it. The president, with the approval of the board of directors, shall appoint an editor, who shall publish the magazine according to an editorial policy established by the board of directors. The editor shall be reimbursed for reasonable expenses upon submitting written expense forms with receipts, if possible, to the office. The directors, representatives, officers, and employees of the Missouri Council of the Blind shall be indemnified for any costs, expenses, or liabilities incurred as a result of the performance of their duties as provided in the Missouri Revised Statutes, Section 351.355, or any amendments thereto. The rules contained in the latest edition of Robert's Rules of Order Newly Revised shall govern the proceedings of MCB in all cases to which they are applicable and in which they are not inconsistent with these bylaws and any other rules that MCB may adopt. Any situation not covered by these bylaws shall be governed by the latest edition of Robert's Rules of Order Newly Revised. The parliamentary authority of MCB shall be adopted by each affiliate. Article I and Article II of these bylaws may be amended only upon amendment of the Articles of Incorporation. d. a special interest affiliate. 2. and the bylaws/resolutions committee chair has sent properly prepared amendments and resolutions to the office by August 1 for circulation to each affiliate, member at large, and any others upon request, in the format of his or her choice by August 20. 3. Amendments will be read and discussed at the bylaws/resolutions committee meeting prior to being presented to the convention for discussion and voting with a recommendation from the bylaws/resolutions committee. These bylaws may be revised only upon authorization by the convention. Copies of the treasurer's and the auditor's reports shall be made available to the executive board, the affiliates, and to any MCB member who desires them as soon as possible after November 1. MCB shall procure the services of a registered, certified, non-partisan parliamentarian to serve at all conventions. The president is authorized to visit each affiliate once each term. During these visits, the president shall give the affiliate an up-to-date report on all MCB activities. Convention banquets shall be full service banquets rather than buffet style. MCB shall instruct all who plan conventions to have the conventions in hotels that meet all ADA requirements. All ongoing resolutions and motions past, present, and future shall be considered standing rules. All standing rules available shall be dated and inserted at the end of the bylaws. MCB directs its board and staff to stream board meetings, and the convention, when possible. The bylaws/resolutions committee chair shall be authorized to correct article and section designations, punctuation, and cross-references and to make such other technical and conforming changes as may be necessary to reflect the intent of this organization. Each regular affiliate president shall notify the office of the name and contact information for the affiliate’s bylaws/resolutions committee member immediately after appointment--no later than September 1. If the designated committee member must be changed after September 1, the office shall be notified no later than two weeks before the opening of the convention. A committee member substitution may be allowed after that time at the discretion of the MCB president.